Easily tamed and requiring minimal care to be happy and healthy, hamsters make ideal beginner pets. They are entertaining to watch as they burrow through deep, soft bedding and create fluffy nests to sleep in. While cedar and pine shavings can expose hamsters to pheynols that may make them sick, shredded newspaper provides an inexpensive bedding alternative. Although some people fear toxins in the ink can make their pet sick, modern newspaper ink does not pose health concerns. The newspapers of yesteryear used inks manufactured from petroleum products that contained heavy metals toxic to hamsters and people alike. Soy ink came into common use in the 1990s and contains no volatile organic compounds to harm your pet. Black and white newsprint is safe for use as animal bedding, according to studies by the Ohio State University. Comics, magazine and ad inserts or other colored portions of the paper are not recommended for use, as they contain additional pigments and chemicals to produce brilliant colors and shiny paper. 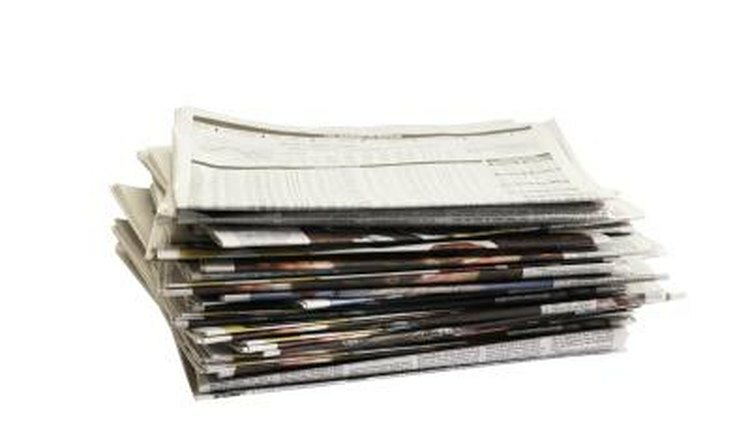 The Patriot News: Toxins in Newspaper Mulch?